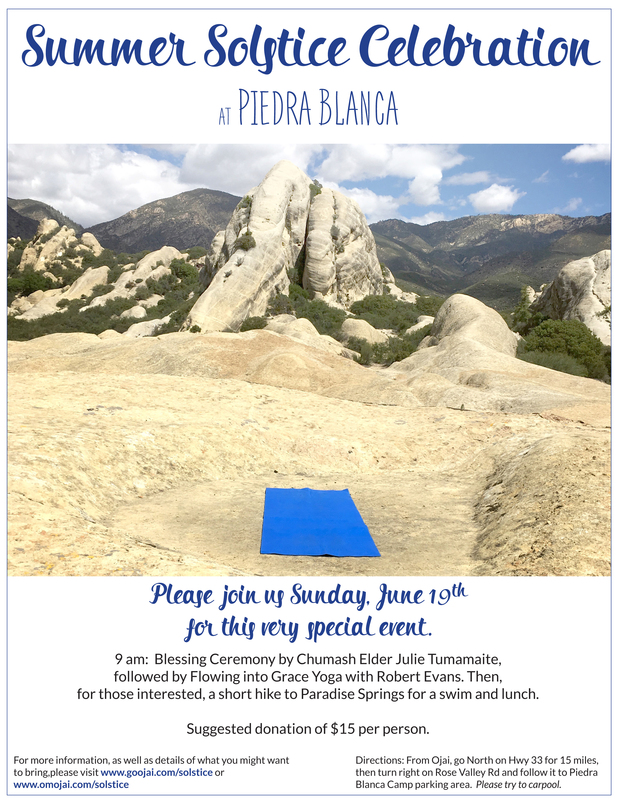 SUNDAY JUNE 19TH AT 9 A.M.
Join me at a Sacred Space Studio Tuesday nights, March 1, 8, 15, 22 & 29. Join me at a Sacred Space Studio Tuesday nights, March 1st, 8th, 15th, 22nd, & 29th from 6:00-7:00 p.m.to inspire and transform your Yoga practice! 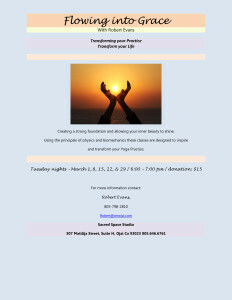 Join me at a Sacred Space Studio Tuesday nights, January 5th, 12th & 19th! 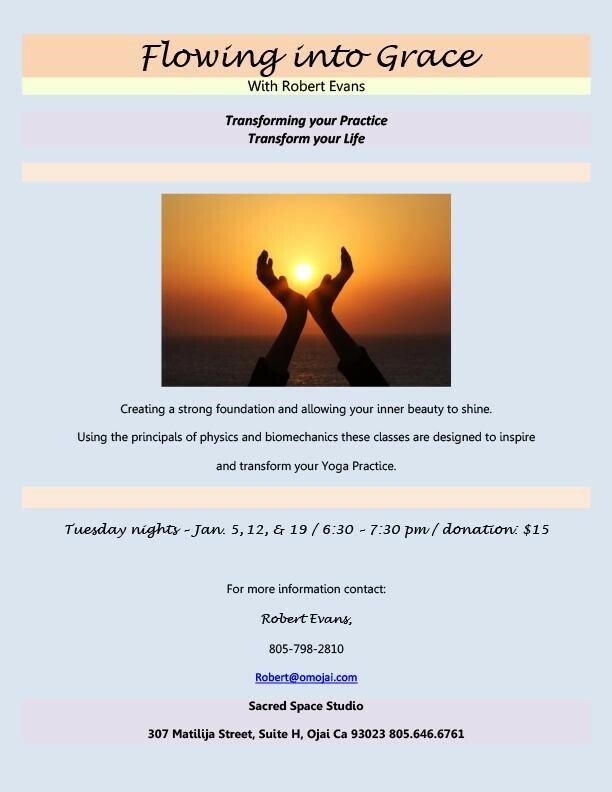 Join me at a Sacred Space Studio Tuesday nights, January 5th, 12th & 19th from 6:30-7:30 p.m.to inspire and transform your Yoga practice!